Looking for a way to promote your business AND bring value to your local community this Holiday Season? Join Firstech's Drive for Coats campaign today! Registration Ends October 1st, 2018. What is Drive for Coats? 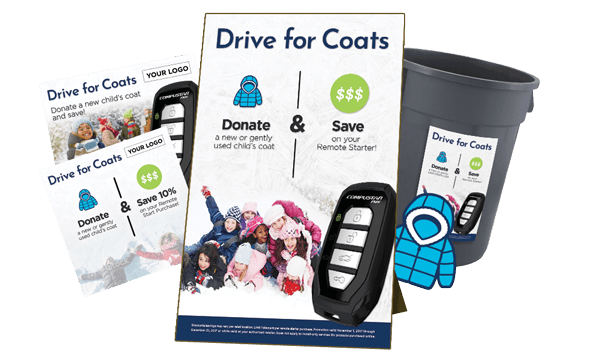 Drive for Coats is Firstech's national coat drive campaign that focuses on offering in-store promotions on remote starters to customers when they donate a new or gently worn coat. October 1st, 2018 - Campaign Kick-Off! October 10th, 2018 - Receive your Drive for Coats Marketing Kit! Firstech's Drive for Coats campaign will start on November 1st. Please read the following instructions to understand how the campaign works. Sign up for Firstech's Drive for Coats campaign. Receive your free Drive for Coats marketing kit. Run promotions tied to the donation of a new or gently worn coat. Arrange pickup/drop-off of donations to your local organization. By participating in Firstech's Drive for Coats campaign, you will gain access to the following materials for promoting your business' promotions and services. 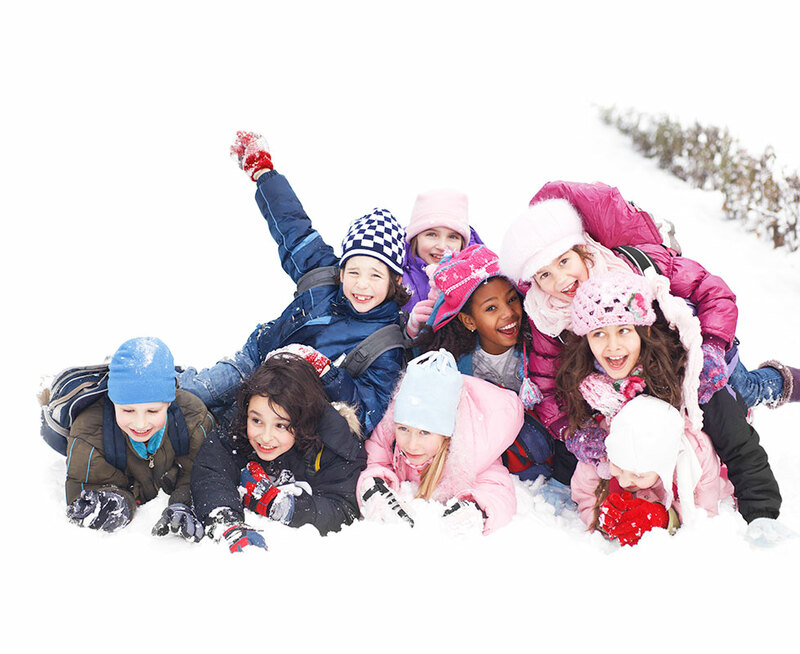 Access to One Warm Coat's list of over a thousand approved charitable organizations. Firstech has partnered up with the following organizations to maximize the impact of our Drive for Coats campaign. One Warm Coat is a national non-profit organization that works to provide a free, warm coat to any person in need and raises awareness of the vital need for warm coats. One Warm Coat supports individuals, groups, companies and organizations across the country by providing the tools and resources needed to hold a successful coat drive. Coats are distributed in the communities where they were collected, to any person in need, without charge, discrimination or obligation. In the last 26 years, One Warm Coat has worked with their volunteers to distribute more than 5 million coats. Click here to find a local organization to partner with. 1sixty8 media provides website development, content marketing, and design services to the mobile enhancement industry. 1sixty8 media founder, Mitch Schaffer brought “Drive for Coats” to Firstech’s attention earlier this year in an effort to broaden the reach of the program. Click here to learn how to run a winning coat drive. How do I sign up for Firstech's Drive for Coats? To register for Firstech's Drive for Coats, simply scroll up this page and fill out the form. You will need to first choose a local charitable organization to partner with. Our national partner, One Warm Coat, has created a list of approved organizations in your area. Ok, I signed up. What's next? Once you've signed up for Drive for Coats, you will receive a checklist of items you will need to address. You will also receive a marketing kit, including both marketing materials for you to display in-store and on social media. How do I promote this cause and my business? Included in your marketing kit will be a number of social media posts and in-store marketing collateral. Each of these materials will assist you promoting a savings message for customers that donate a new or gently worn coat at your store. What do I do with donated coats? As previously mentioned, Firstech has partnered with One Warm Coat, a national organization that specializes in the collection and distribution of coats to those in need. When you register for Drive for Coats, you will be required to select a local organization from our list of approved charitable entities. Each of these organizations will have varying instructions on how to deliver/transport the coats that you collect. What type of promotions should I offer as part of this campaign? The most popular promotion offered by dealers is: "Donate a coat, get $25 off a 1-way, $50 off a 2-way". This is a simple promotion that motivates customers to consider 2-way remotes, which offer superior range and features.